Did you know that the first virus was discovered by the Dutch microbologist Martinus Beijerinck in 1898? Beijerinck used filtration experiments to prove that something smaller than a bacterium caused tobacco mosaic disease in plants. 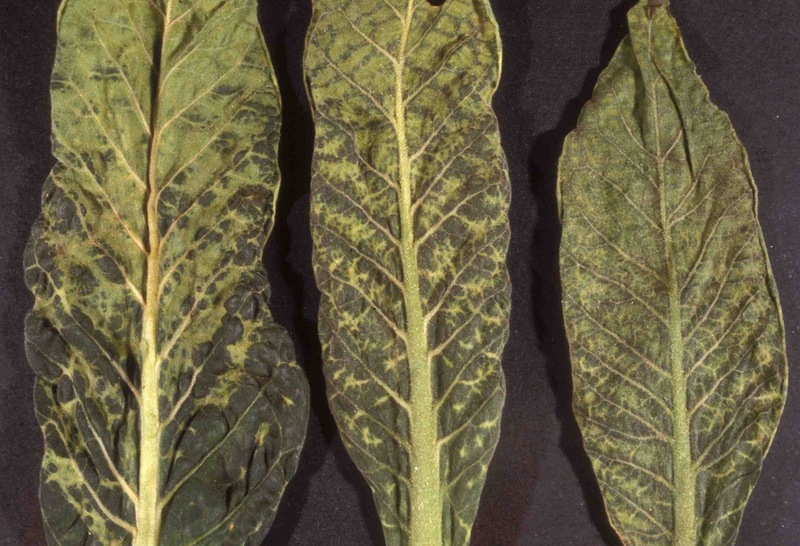 The tobacco mosaic virus (TMV) infects a variety of plants including tobacco, tomatoes, cucumbers, peppers, and many more, but does not infect animals. It has been responsible for up to two percent of North Carolina's tobacco loss every year and is particularly terrible for greenhouse crop growers. Although this virus has been known for over 100 years, recently scientists have discovered a new use for this terrible pathogen. You see, TMV nanorods are the right size and shape to bond to lithium battery electrodes, thereby dramatically increasing the surface area of the electrode. TMV is self-replicating, self-assembling and can bind to metal without a bonding agent. So what does this mean in practical terms? It may mean that we could produce batteries of the same size that can hold 10 times the charge. Your cell phone could run for a week or more without needing to be charged. You could use your laptop all day without plugging in and it could stay running in sleep mode for the better part of a year. Environmentally, it means that we might need much less energy production for the same result! If only the government and energy gurus will allow that!! Unfortunately, the energy people will probably put a stop to that because they will lose money! Just another way that we are controlled by the powers that be. How fascinating! I love your blog, you dig up the most interesting stuff. When I think of technological advances just since my grandparents were born in 1898 or thereabouts, it blows my mind away. My grandparents were born on farms with midwives, no doctors, no running water, no central heat, no indoor plumbing, and to get to town you drove or rode the horse. Now look at us today!!! I do hope you have decent weather soon - Happy Holidays to all! Amazing how far we have progressed as a society that we can turn towards finding practical uses for things we may have wished to eradicate previously! Thank you for sharing that - things are really exciting on the nano-scale, aren't they? LindaBSend, you're probably right, but it's nice to imagine that it might be different. Thanks, Karen. Merry Christmas to you too. Merideth, thanks for the nice words. I am also amazed by how much the world has changed in such a short time. Astrocrabpuff, thanks, have a joyous Christmas yourself! No, I had never heard of him. Or read about him in a newspaper or so. That is a shame since he is considered to be he founder of virology. Thanks for the info! I suppose that consumption of tobacco products infected with the tobacco mosaic virus has not been found to have any effect on humans. Interesting question. 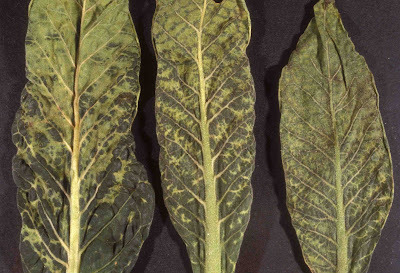 Tobacco Mosaic Virus does not seem to have any effect on humans. Most plant based viruses don't, whereas animal based diseases sometimes do. Beijerinck always worked in his lab or not? the first virus was discovered by the Dutch microbologist Martinus Beijerinck in 1898....wow, it's new for me. Keep moving, we are waiting for the next topic. Good luck! Wow I didn't know about first virus, this is good information.